Hidemi Takagi, 2015-2017. Presented at the Hudson Guild Gallery. 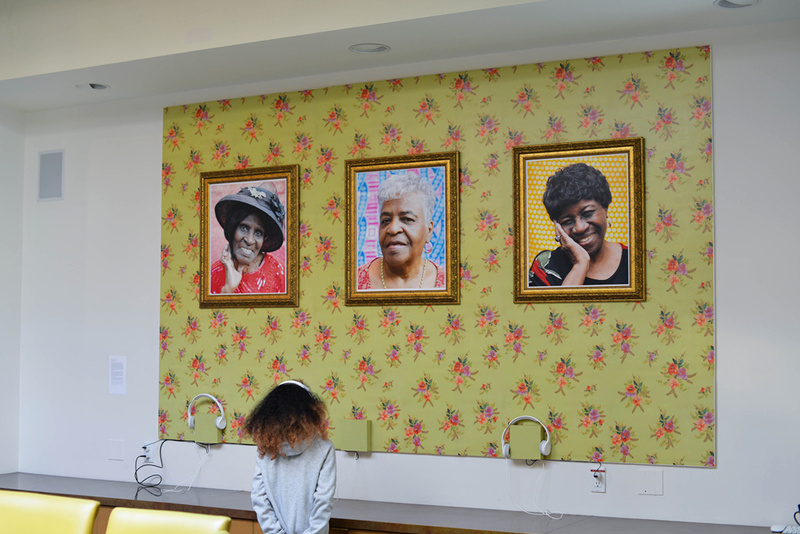 The concept of Hello, it’s me began as a part of More Art’s Engaging Artists Residency, during which Hidemi Takagi regularly visited the Saint Teresa of Avila Senior Apartments in her neighborhood of Crown Heights. Through taking photographs of the center’s activity classes and occasionally portraits of the residents, Takagi developed great friendships with some of the seniors who began sharing their family narratives, as well as talking about the current events that are shaping the historically African American and Caribbean American neighborhood. Hello, it’s me is a collaborative multimedia project that each participant chose their own style of wardrobe while the bright-colored backdrop set a cohesively colorful tone of the portraits. This allows the portraits to show a deeper sense of their personalities. The final installation resembles a living room adorned with portraits of each participant in golden frames and bright wallpaper. 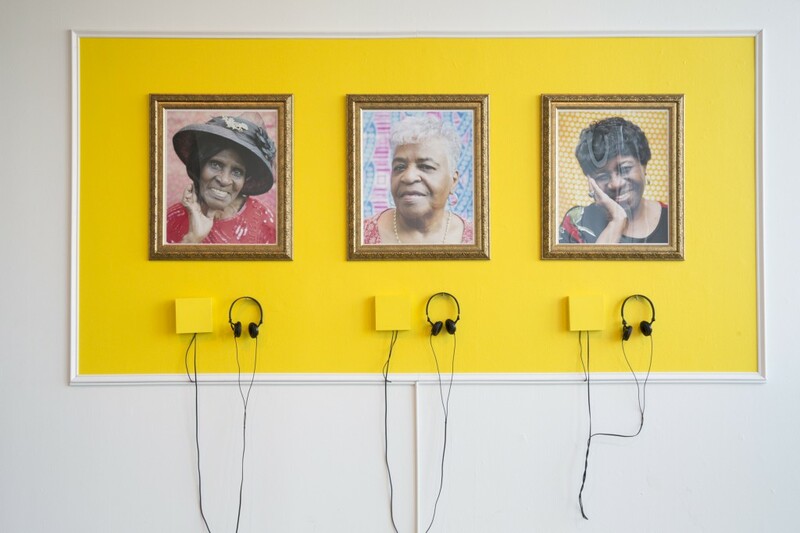 Each image is paired with a set of audio recording that allows the audience to hear each participant’s story in their own voices. During the process of creating the project, Takagi asked each participant to share one story about themselves and another about their family. The project does not only provide the residents an opportunity to recollect and narrate their personal memories, but also allows their future generations to further learn their roots through a multi-sensory experience. Born in Kyoto, Japan, Hidemi Takagi is currently based in Brooklyn, New York. Takagi’s studio practice is best known for her candy-colored, saturated images that stem from her childhood imaginations of what New York would look like. As she explores the melting pot as her new home and experiences the real life in New York as an adult, her work allows her to preserve the memories of her imagined America and further incorporate them into her artwork. Takagi was a 2015 Engaging Artist-in-Residence with More Art and received a seed grant to continue her work with senior citizens from Chelsea’s Hudson Guild Community Center. She is currently working on a multimedia project with Yachiyo, a Japanese American resident of Harlem who survived the United States’ Japanese American Internment Camps of WWII.